While this timeless beauty gives you a tone that is warm and subtle with full, even response, it doesn't hold back when you need that classic Gibson humbucker crunch! Neck pickup. - Details: Vintage Vibes with rich, warm tones and balanced coils. "They are like a comfy t-shirt...... That sound rad"
Overall: I used these to replace the stock Epi pups in their dot 335 model. Did the work myself and it wasn't as hard as most people were saying. Preparation, patience and a few hand made tools made the change super quick. THE SOUND THE SOUND!!!! I LOVE how they make my Epi sound. Thunderously awesome. The review isn't even needed because everyone already knows that these are some top pups. My only complaint is the price, but I got what I wanted so there. 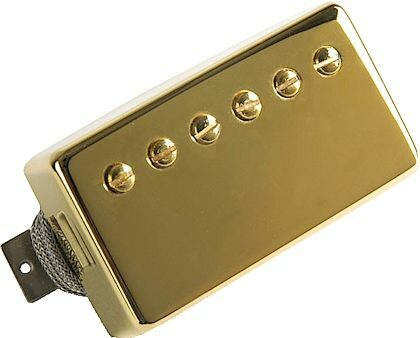 Overall: These pickups came standard on my epiphone "tribute plus",and the sound is so rich and articulate played through a tube amp.I read alot of reviews and these seem to be the all time, originals.All other humbucking pickups have followed this original design,PAF.